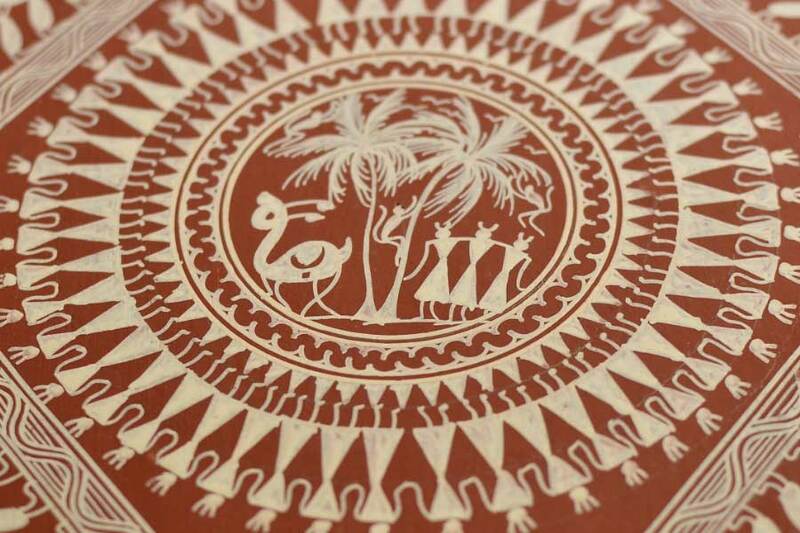 About Product : Pattachitra paintings find expression in many ways commonly seen; in story paintings, on walls, in Ganjifa (locally known as Ganjapa) cards, and in many other forms, but they are also the only paintings that replace the idols of Gods and are regarded with the same reverence. 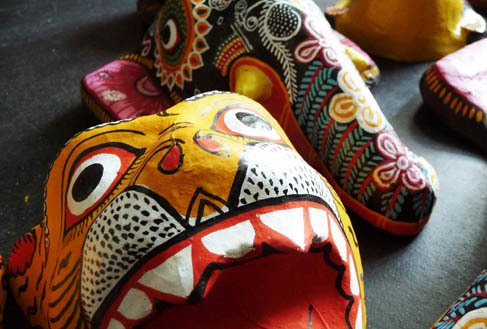 Raghurajpur, a small village on the banks of the river Bhargabi near Puri, is a haven of Pattachitra, the cloth paintings of Orissa, and has attracted the attention of the world as a Heritage village. 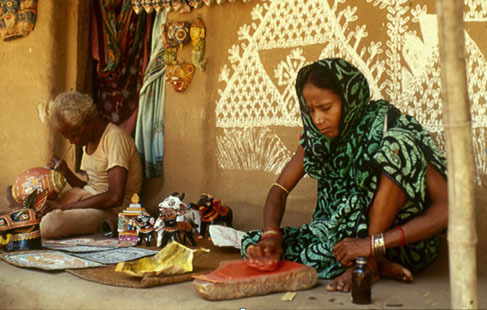 The economic, social and cultural life of this village revolves around arts and crafts with at least one member from almost every family involved in the arts. There is an informal division of work in the family and every member is engaged in doing something or the other related to paintings. 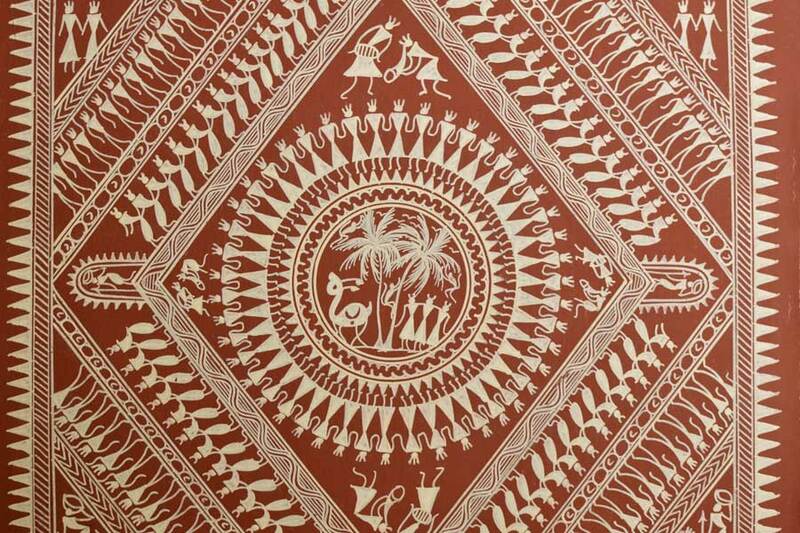 While the men folk and the boys work on the paintings, the women are busy preparing the canvas, boiling the gum or powdering the pigments in a mortar. 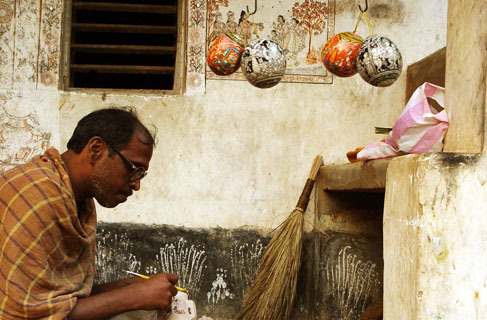 On the Debasnana Purnima day (Full moon day of Jyestha month), the Gods of Jagannath, Puri, have a ritualistic bath to fight the heat of summer. As a result the deities become sick for fifteen days, i.e., the first fortnight of Asadha. 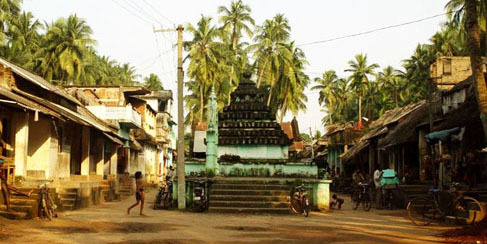 During this period, known as Anasar, the devotees don’t have Darshan of their beloved Lord at the Ratnavedi. 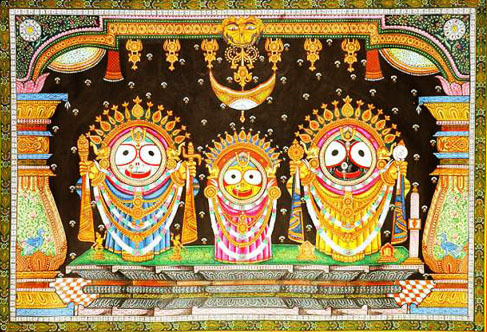 Instead, three paintings, of Lord Jagannath (a form of Krishna), Lord Balabhadra and Maa Subhadra, in the colours black, white and yellow respectively, are worshipped. 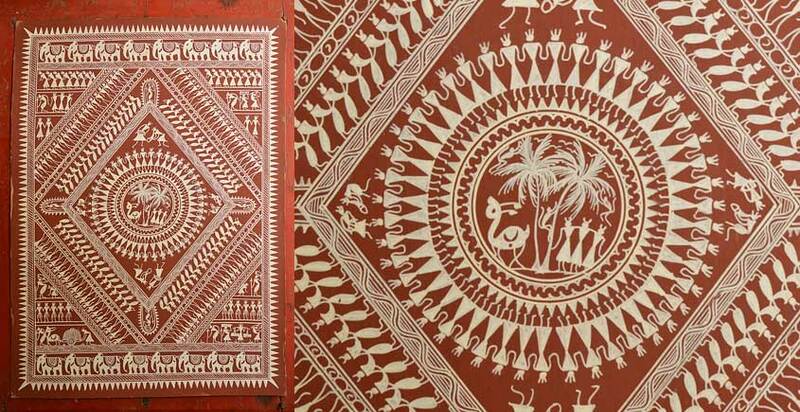 Such paintings, known as “Anasar Patti”, are made by traditional Chitrakaras of Orissa, who are experts in the art of Pattachitra. 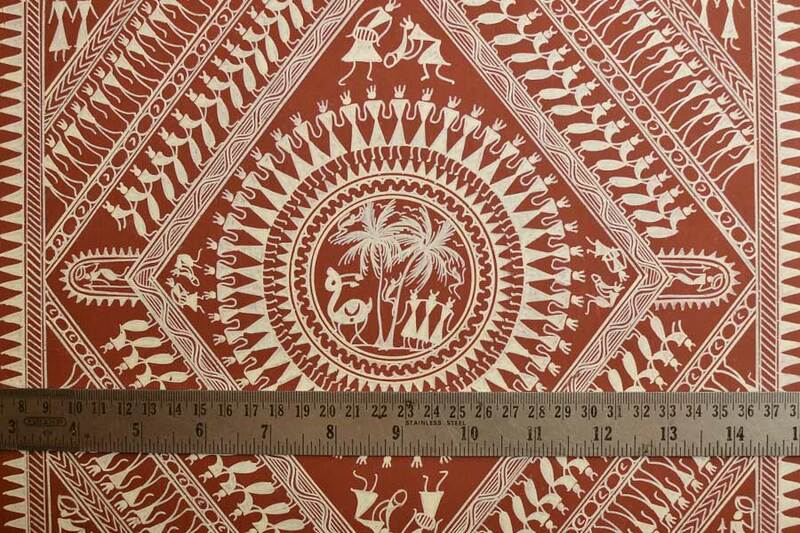 Patta paintings of Orissa have evolved and flourished under the cult of Lord Jagannath and therefore, considered to be as old as the temple of Lord Jagannath at Puri, i.e. 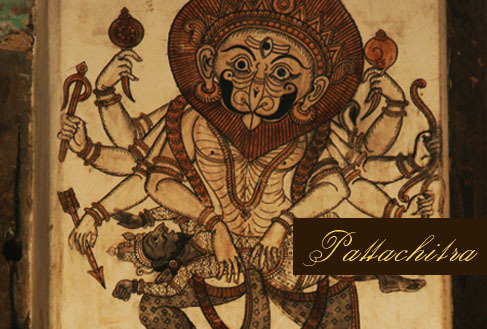 12th Century A.D.
Pattachitra has a distinctive style of painting the Gods and Goddesses not in naturalistic colours, but according to certain conventions wherein the ’sattvika’, ‘rajasika’ and the ‘tamsika‘ aspects of the Gods are expressed in white, red and black colors respectively. 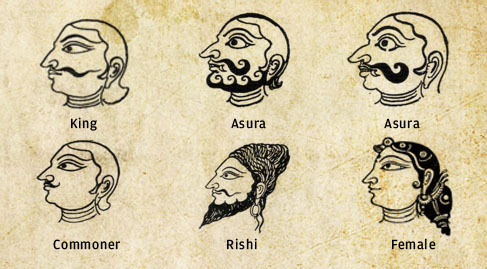 The characters have their own colours according to the “Rasa” they portray, for example, “Hasya” or laughter inducing in white, “Raudra” or furious in red, “Abdhuta” or strange in yellow, and so on. 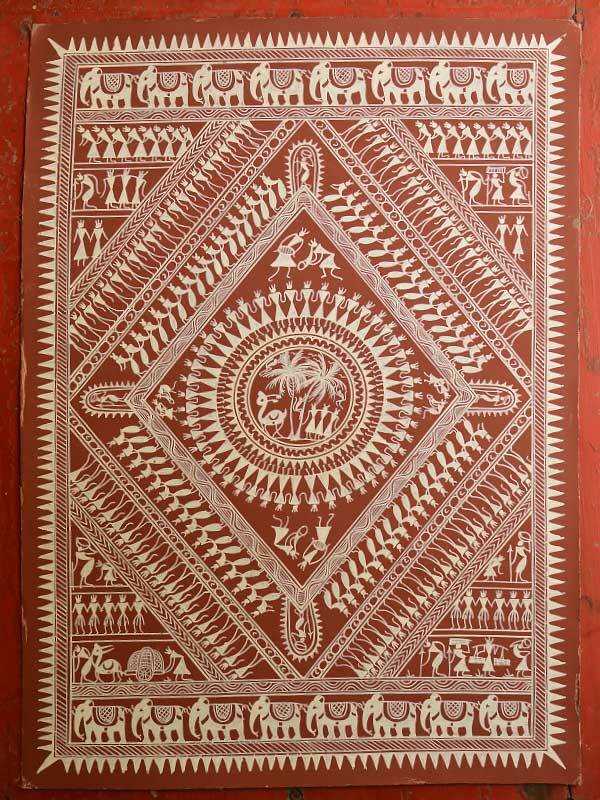 The chitrakara of Orissa uses buffalo hair to make brushes for the thick lines while rat or squirrel hair is used for making brushes meant for finer line work. 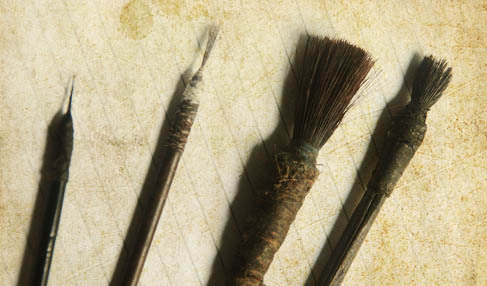 According to the text, ‘Manasaullasa’, the crayon for initial sketches or ‘vartika’ is to be made by mixing lamp black with boiled rice paste and rolled into sticks. According to yet another text, ‘Shilparatna’ ‘kitta lekhani’ or the writing/drawing instrument was a wick made out of the dust of bricks and dried cowdung made into a paste. Pattachitra has largely remained uninfluenced by the other schools of Indian paintings namely the Mughal and Pahadi, due to the fact that Orissa had remained uninvaded by the Muslim rulers for a fairly long time giving the art form enough time to evolve its own unique styles and convention and establish the same. 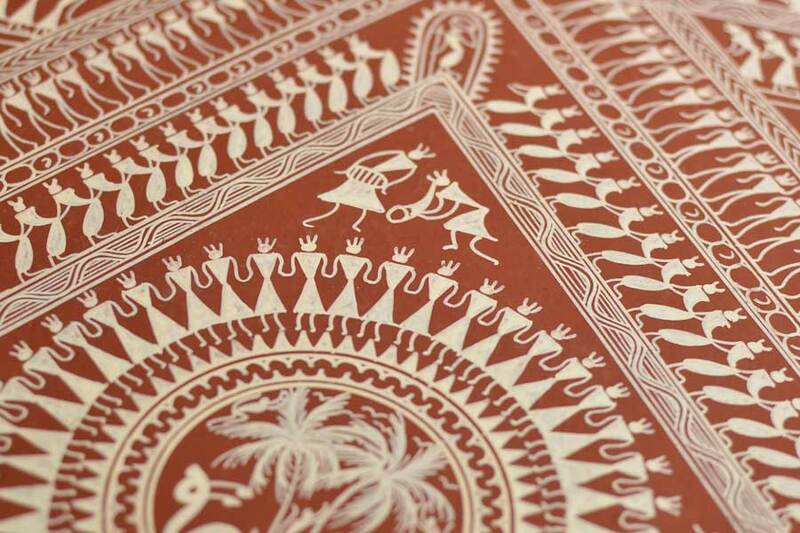 This has allowed the art to form its own category - the Puri school of painting.